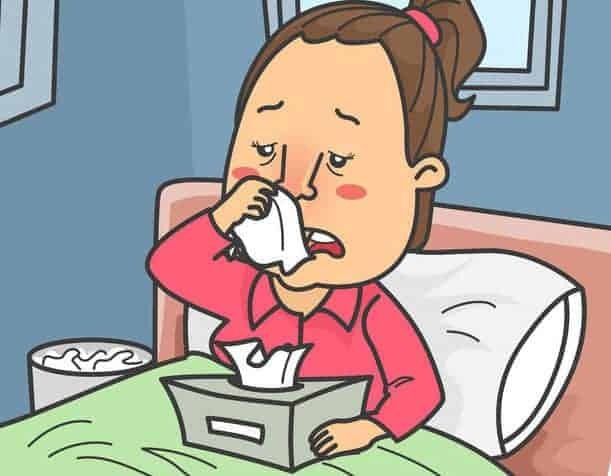 A sinus infection, officially called sinusitis, causes the nasal cavities and passages in your nose, under your eyes, across your forehead, and all the way to your ears to swell. These infections can be caused by both viruses and bacteria, and most will clear up without medical intervention on their own in 2 to 3 weeks. Because they last such a short time, they are known as acute infections. However, some people are not so lucky. They get sinus infections over and over again, developing what is known as chronic sinusitis. Sinusitis is considered chronic if one infection lasts more than two months OR someone gets infections constantly. Whether you have acute or chronic sinusitis, you know how bad you feel. The pain behind the nose and around the eyes can pound and ache, often making your head feel like it is too heavy for your body. Sometimes, the pain can spread across the entire face, even affecting the way you chew. In addition to the swelling, most people with sinusitis have green or yellow drainage in the nose. This makes breathing difficult and can cause throat irritation as it drains from the sinuses. This drainage can lead to a cough, which often leads to a pounding headache. If the infection is severe enough, you can even develop a fever. It is a good idea to check with your doctor when you have a sinus infection because you want to know the root cause so that it doesn’t keep happening. However, while waiting to see a doctor, there is no need to suffer. Here are 10 easy home remedies that can help you recover more quickly while addressing the issues of pain and congestion. In fact, for many people, simply using these techniques will help them steer clear of any prescription medication.